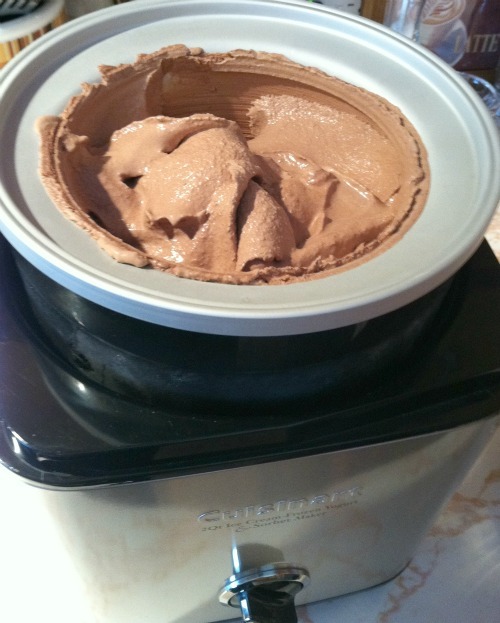 over the weekend, ryan made homemade chocolate ice cream for our parents who came up to visit. (i'm telling you, he is a man of many talents!) 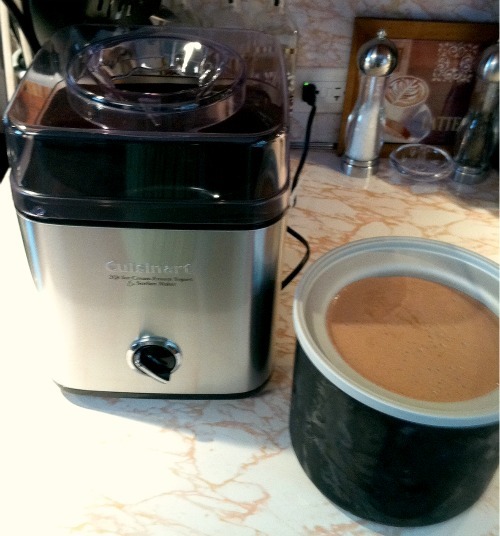 ryan makes the best homemade ice creams using our cuisinart ice cream maker and his simple chocolate ice cream has to be one of my all time favorites. the deep cocoa flavor along with the soft, smooth, and creamy texture makes this ice cream a true treat. 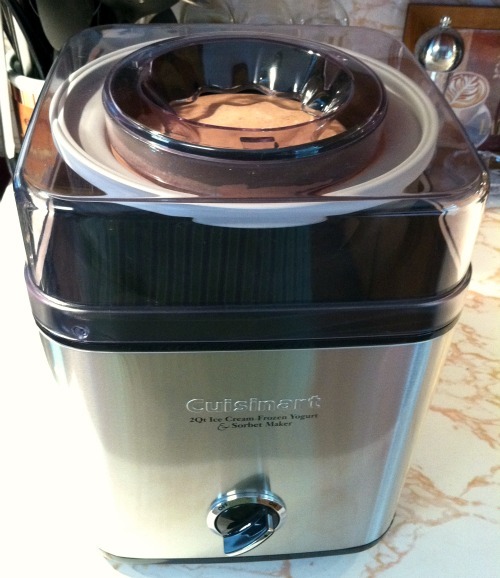 if you don't own an ice cream maker, you seriously don't know what you're missing! go out and get one . . . you won't regret it. ps: ryan did all of this while i was upstairs. it was such a nice surprise to come downstairs into the kitchen and find him making this. the best part was that he even took pictures as he made it! best husband ever! 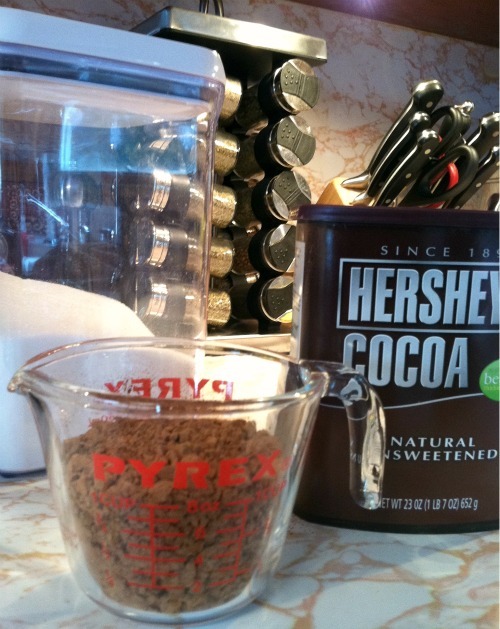 in a large bowl combine the cocoa powder, granulated sugar, brown sugar, and skim milk. 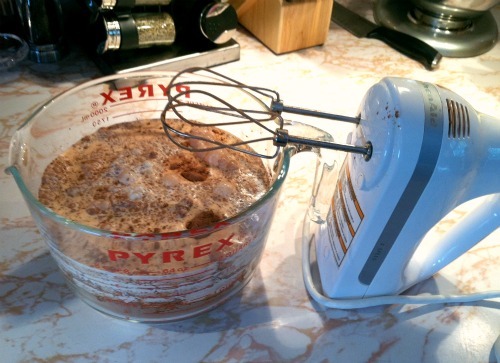 whisk the ingredients together with a hand mixer on low speed for about 1 to 2 minutes, or until the cocoa and sugars are dissolved. gently stir in the heavy cream and vanilla extract. 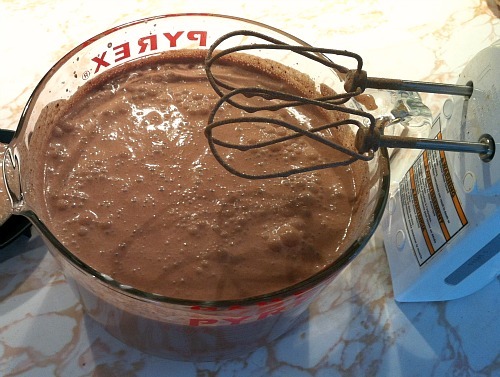 using a 2 quart ice cream maker, turn the machine on and pour the mixture into the freezer bowl. (the freezer bowl must be already pre-frozen.) 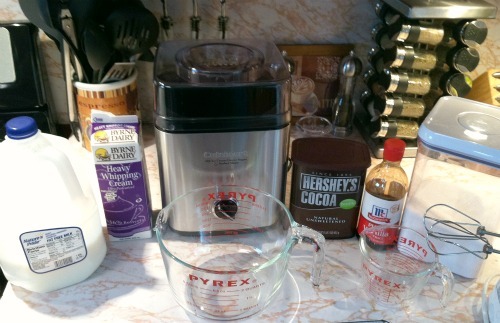 let the mixture mix in the ice cream maker for about 25 to 30 minutes, or until thickened. for soft and creamy ice cream, serve immediately. for firmer ice cream, transfer the ice cream to an airtight freezer safe container and freeze for about 1 hour. This looks so good! I need to attempt this! Check out my ice cream post today!! I see you button, but I don't see any code for it. What's the best way to grab your code? ahhh! so so yummy. craving it now.